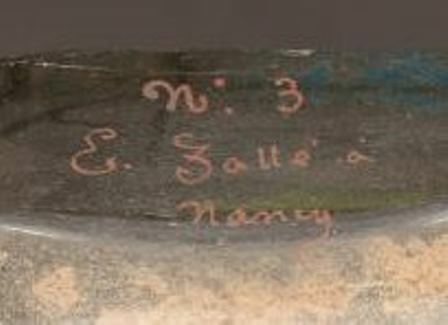 This mark is handwritten on the bottom of some Galle vases. The particular one here references E. Galle a Nancy. Marks like this can easily come off with age and decades of cleaning. As a warning, they can also easily be added.